1. Bring multiple resumes to every interview, or a job skills portfolio if you have one. 2. Dress according to the job. 3. Know where you're going. If you don't already know exactly where the interview location is, or know how long it takes to get there do a couple practice runs. 4. Know when the interview is, where it is, how long it takes to get there and park, then freshen up if needed, etc. 5. You should arrive early, at least by 10 minutes before the interview starts. Earlier if requested by the employer. 6. Always treat other people with courtesy that you encounter, their opinions of you may decide the hiring process. 7. When greeting, remember a firm shake, a friendly facial and body expression and make eye contact. 8. Pay attention when being introduced so you know the interviewer's name, and how to pronounce it correctly. 9. If the interviewer provides a first and last name, continue to refer to them by their title (Mr., Dr. Ms) and their last name unless otherwise requested. 10. Keep good eye contact throughout the interviewing process. 11. Sit still while in your seat, avoid slouching down and fidgeting. 12. When responding, be brief and have examples to back up your answer. 13. If you don't understand the question, ask the interviewer to clarify. 14. Be concise and thorough in your responses. 15. Remember to be honest, professional, but yourself at the same time. If they find you were not honest, it's likely to withdraw job offers and/or get you fired. You're wanting to be a match between you and the employer, if you're dishonest and get the job, they will be unhappy when finding out. 16. 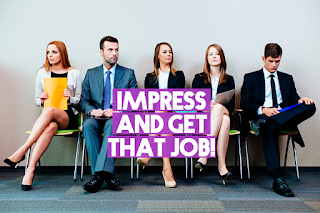 Take the interview process seriously, show that you are interested in the company and the job opportunity offered. 17. Give off a positive attitude, interviewers are looking for potential co-workers and this means evaluating your behavior. Be professional, like someone you would like to work with. 18. Have a list of questions for the interviewer that relate to the company, and things that you were not able to find while doing research on the job position. 19. Remember that an interview goes both ways, you should also evaluate the interviewer, and the represented company. While remaining respectful and professional, consider how you are being treated, the priorities of the company and their values. 20. Expected an appropriate experience. If you believe the interviewer asked questions which were inappropriate, or treated you inappropriately and you were uncomfortable, let the Career Services director or adviser know. 22. When the interview is finished, leave gracefully after making eye contact and giving another firm shake. 23. 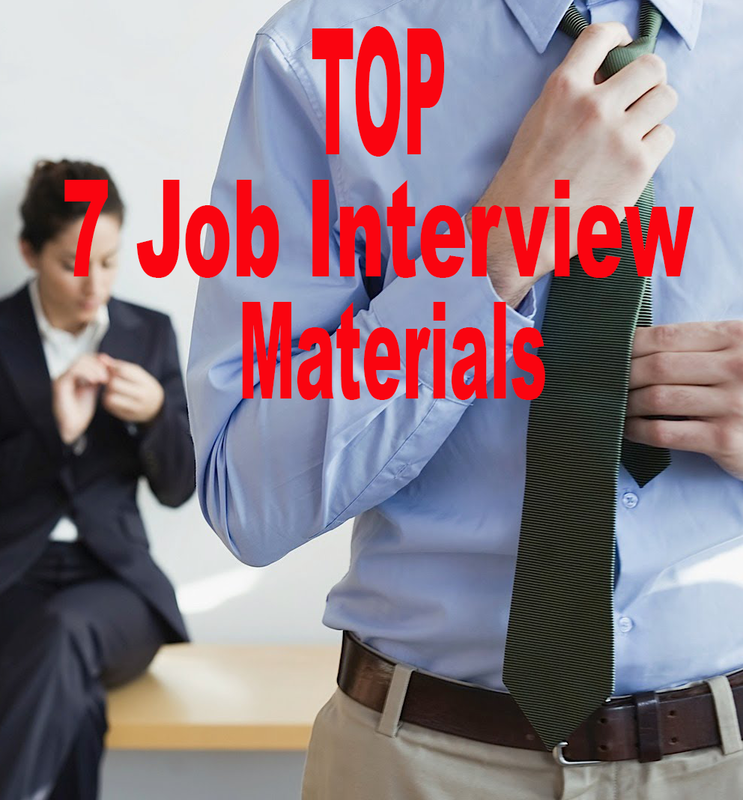 You should be making notes as soon after the interview as you can, such as when you get back to the car. 24. Shortly after the interview, send a thank you card to the interviewer. This helps them remember you. 25. If provided with an application, fully fill it out, keep it accurate and neat. 26. Avoid using language that may be considered poor, slang or stuck words such as uh, um and like. 27. Show the interviewer what you can provide the company, instead of what the company can provide you. 1. Avoid telling jokes during the interview. 2. Don't ask about salary, bonuses, vacations, or other types of benefits prior to being provided with an offer. 3. Don't answer a question that was unexpected by first pausing for an extended amount of time, or buying time with generic phrases like “That's a good question”. You also don't want to ask them what the question was again, or repeat it before answering. A short pause is okay, but don't take to long. 4. Avoid answering with “yes” or “no”, when you are able to give examples or a reason, do so. Let them know about things that show your skills and talents, details are important. 5. Don't give excuses, showing that you can take responsibility for your actions is important as well. 6. Don't speak negatively about previous employers or co-workers. 7. Don't lie on the application, or your answers. 8. Don't behave casually like you're using the interview for practice or to test the waters. This insults both the company and the interviewer. 9. Don't give a reason for the interviewer to think you're only interested in the position because of the geographic location. 10. Avoid giving the impression you are only interested in the pay rate. Until the interviewer brings it up, don't mention salary or benefits. 11. Don't act desperate for the job. 12. Don't leave the interviewer to guess what job you're wanting or the type of work you would like to do. They're interviewing, not giving career advice. 13. Don't go in unprepared for the common questions. You may not get asked all of the common questions in each interview, but being unprepared isn't going to help get the job. 14. Don't show a negative attitude or behavior in the interview. 15. Don't sit on the edge of the chair, or slouch. 16. If the interviewer is female, don't make assumptions, refer to her as “Ms.”, not “Mrs.” unless otherwise requested. If she has a doctoral degree, or a degree in the medical field, it would be “Dr.” and her last name. The marital status is not relevant to the interview. 17. Don't go into the interview smelling like smoke, or chewing gum. 18. Don't let your phone go off during the interview. If it does, apologize and move on, don't answer it or look at it. It's best if it's off to begin with. 19. Don't take others with you to the interview, such as friends, family, spouse, or a pet (service animals are an exception). They will see you as not being mature enough for the job if you're not able to be independent enough to show up on your own.